Several years ago I began to notice everyday at dawn and dusk a series of very short high metallic sounds; it took me some time to realize that the sound was coming from a pair of California Towhees that had nested in our backyard. This birdsong became for me just as dependable a part of each day as the change of light from night to morning and then, again, from evening back to night. 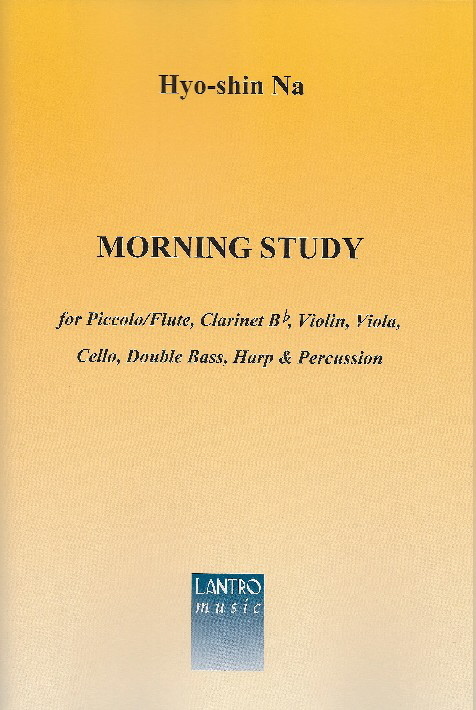 Morning Study (for piccolo/flute, clarinet in B flat, violin, viola, cello, double bass, harp, and percussion) is related in various ways to this fluctuation between darkness and light and to the way the sound of the Towhees had become a part of this fluctuation. The piece was commissioned by Southwest Chamber Music and was written in the mornings between March and September, 2011.